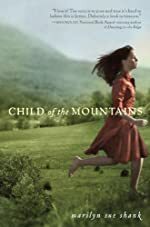 Review: Do you like to read books about adventure, action and mystery? Well then Secrets of Shakespeare's Grave by Deron K. Hicks is the book for you! 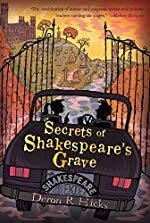 In Secrets of Shakespeare's Grave twelve-year-old, Colophon and her recently acquainted cousin, Julian, try to find their great, great grandfather's "treasure" that he has hidden somewhere in London. Meanwhile, back in America, Colophon's brother, Case, is helping their father try to restore their publishing company before Treemont takes over. The prologue to the book tells about how and where Miles, the great, great grandfather, gets the treasure. This is really interesting because it kind of builds up the history of the book, and puts more suspense into the parts of the book where they are treasure hunting. The obstacles that stand in the way of Colophon and Julian are mostly Treemont and his goons that are working for him. The chapters of the book rotate usually through the U.S and the U.K. The U.K "story" is about Colophon and Julian treasure hunting and looking for clues to where the "treasure" might be. The U.S "story" is about Case and his father trying to get three authors to sign a contract before the winter deadline. The characters in this book are really interesting because they really push themselves to the limit to try to save their father's job. Other characters are really interesting because they do anything they can to ruin a person's job. The author is great at creating suspense because he made me want to keep on reading to see what would happen next. The author sometimes exceeds in humor; I found some parts of the book that were really humorous and others that made say "was that supposed to be funny?" The adventures that the characters go on are exciting, like the one where Julian and Colophon are in an old crypt when the door starts closing on them and Julian makes it through fine, but Colophon on the other hand hurts her ankle and Julian has to reach in there and yank her out before she is locked inside for another couple hundred years. All in all I enjoyed the tie into history and so should you. To me this book by Deron H. Hicks deserves 5 out of 5 stars because the tie into history is great, the book has great suspense and it has a perfect ending. So go to your local bookstore and pick up a copy today!!! Pandas and Other Endangered Species by Mary Pope Osborne. A Magic Tree House Fact Tracker Book. Review: Cute, helpless, endangered animals. Several species are endangered and may soon cease to exist. The book Pandas and Other Endangered Species by Mary Pope Osborne and Natalie Pope Boyce is a non-fiction companion book to A Perfect Time for Pandas. This book is 26th in the Magic Tree House Fact Tracker series. Did you know that there are more people on Earth than ever, so people are destroying the animals' homes for their own benefit. And, some of these animals cannot live anywhere else on Earth. Jack and Annie are teaching readers that there are so many endangered species and so few new species to take their place. Pandas, Yellow-eyed penguins, tigers, Asian elephants, Steller sea lions, Bluefin tuna, Mountain gorilla, Javan rhinoceros, and so many more are on the endangered list. Heroes like Jane Goodall, and George Schaller are helping endangered animals by teaching people how to help and study them so we can learn how to help these animals. 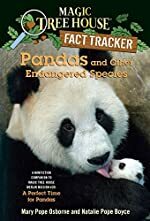 Like all other Fact Tracker books, Pandas and Other Endangered Species is filled with valuable information for readers and researchers. Did you know that there are so many endangered species on Earth? For example, China, U.S.A, Africa, Russia, Japan and many other different places on Earth have endangered animals. But, the facts alone are not the only good part of this book. 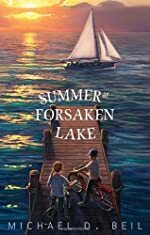 Like in all the Magic Tree House books, Annie is more adventuress, outgoing, and well-rounded than her brother Jack who is more careful. As a result, any child can relate to some trait of Jack and Annie. And, as usual, they get all their questions answered in A Perfect Time for Pandas. The best quality of the book, however, resides in the lessons it teaches. Unless we do something quickly to protect, and help them, they all will be dead. Pandas and Other Endangered Species is a book that anybody and everybody will enjoy - especially animal lovers. I yearned to know more about the types of different animals that are endangered, how to help them, and why they need help. It is a great book for learning, and is a well-organized and insightful book for all researchers like Jack and Annie. Pandas and Other Endangered Species deserves 5 stars because it taught me that animals just like us need help. We would like to thank Random House for providing a copy of Pandas and Other Endangered Species for this review. Have you read Pandas and Other Endangered Species? How would you rate it? Cheesie Mack Is Cool in a Duel by Steve Cotler. A Cheesie Mack Book. Review: Have you ever wanted to be considered cool by your friends? The book Cheesie Mack Is Cool in a Duel by Steve Cotler is a story about just that. The illustrations by Adam McCauley are enjoyable and entertaining, but there are too few for my tastes. Here is a little bit about the story and what makes it such a good read. Cheesie and his friend Georgie go to camp together, but end up in a cabin with the big guys. Cheesie ends up in a fight with one of the big kids named Kevin. Every night the campers vote on who is the coolest for that day and at the end of two weeks there is a final vote for the coolest where the loser has to do the punishment. As I read it I wondered what do they do to make themselves the coolest? You might be wondering who will win and what is the punishment? You will have to read the book to find out. 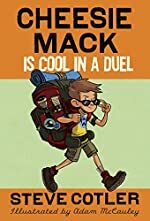 What I enjoyed about Cheesie Mack Is Cool in a Duel was it was so interesting it felt like it was only ten pages and the book is actually 222 pages. What made me keep reading is how entertaining the book is, such as the different ways they tried to be the coolest. I won't ruin it for you by telling you all the ways in this review. What I did not like about the book was that in practically every chapter the author keeps saying "You can find this on my website." I really got tired of reading: on my website, on my website, on my website. Other people would like to read this book because it is a fun get-away. You will escape your boring school day with an adventure for a little while with some fun kids and funny situations. It may even give you a few ideas on how to be cool. We would like to thank Random House for providing a copy of Cheesie Mack Is Cool in a Duel for this review. Have you read Cheesie Mack Is Cool in a Duel? How would you rate it? Balancing Act by Dominique Moceanu and Alicia Thompson. Book Two of The Go-For-Gold Gymnasts Series. Review: Are you the kind of person who dives right into an amazing book about athletes? What about gymnastic athletes? Well if so, Balancing Act, by Dominique Moceanu and Alicia Thompson, is the book for you! As you're reading, Noelle, Christina, Jessie, and Britt will all be practicing like crazy at Texas Twisters gym. Noelle, Christina, Jessie, and Britt are four of the gymnasts at Texas Twisters gym, and all great friends. Noelle, Christina, and Britt are all practicing extremely hard for National, and Jessie is by their side cheering them on. But when David comes into Noelle's life, everything goes wrong. Noelle and her parents have a lot going on right now, so when Noelle gets the letter about the cost for Nationals, she doesn't want to tell her parents. What will she do? Balancing Act has original characters that made me want to keep reading. The author uses descriptive writing that makes the story full of action and excitement, such as, "David Schaeffer had kissed me, my FIRST kiss. The one I had been saving for Scott," Noelle says. 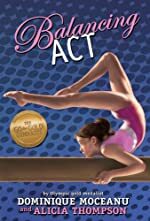 Balancing Act is appropriate for all audiences, but young gymnasts in-the-making will appreciate the well-developed ideas of this wonderful book! Plus, people who are having some difficult situations in their lives right now can easily relate to these characters, and maybe even learn how to deal with their problems. Balancing Act deserves five stars because the writing style is lively and energetic; it will make you want to keep reading! We would like to thank Disney Publishing Worldwide for providing a copy of Balancing Act for this review. Have you read Balancing Act? How would you rate it? Yesterday by C. K. Kelly Martin. Review: “Winston Churchill said, ‘Sure I am of this, that you have only to endure to conquer. You have only to persevere to save yourselves.’ I swear his words will be running around in my head for the next fifty years at least." These are the thoughts of sixteen-year-old Freya Kallas - the protagonist in Yesterday, a new dystopian thriller by C. K. Kelly Martin. Freya Kallas of 2063 is living in a world that has been dramatically affected by the lack of attention paid to the environment in the 20th and early 21st centuries. She lives in a land that is no longer the United States, but is rather the United North America - a result of dwindling governments. In the UNA, climate has been dramatically altered, and coastal destruction has left much of North America desolate. 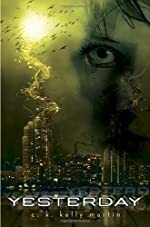 Her world is fearing ecoterrorism, facing the rise of the robot, and a plunge into a virtual world. Family structures have been altered, and as a result of the Bio-net, typical health issues become nearly non-existent. 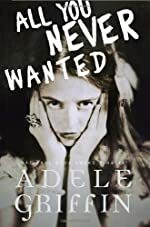 One night, however Freya is fearing for her brother’s life when the SecRos remove her and her mother, give them an injection, and when Freya wakes up, she has no recollection of 2063, but she knows something is not quite right with her life in 1985. Nothing seems real to her until she sees a mysterious boy. But how does she tell him that he’s the subjects of her dreams of a life so far removed from there. How does she tell a total stranger that he’s the only true reality for her? Martin has written a fantastically unique thriller. 2063 is close enough that readers will fear what could be in their future if changes do not happen today, and the disconnect that Freya feels is utterly believable. Yesterday draws readers in from the first page and keeps them wanting more. 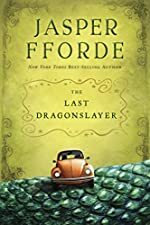 Although readers can begin to predict how Freya (and Garren) are transported back in time, the way in which their situation is handled by friends and foe is unpredictable, keeping readers tense and in fear until the very end. 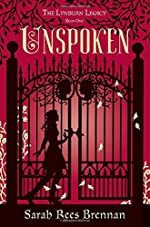 While readers are learning about Freya and her adjustments to a new school and a new life and watching her transform into something she’s not merely to have something that seems “real" in her life, readers become more and more passionate about her and her quest to find something that feels right. So when she meets Garren, readers have an investment in Freya’s character and every action becomes personal. Readers will find themselves cheering for her, fearing with her, and crying with her as she faces the most difficult time in her life. Yesterday is filled with enough suspense, mystery, and passion to enthrall any young adult reader. We would like to thank Random House for providing a copy of Yesterday for this review. Have you read Yesterday? How would you rate it?